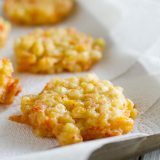 The perfect use for fresh corn, these Cheddar Corn Fritters are cheesy, irresistible and melt-in-your mouth delicious. Originally posted June 13, 2008 – I was going to update this post this yesterday, but couldn’t get onto the back end of the site due to some technical difficulties. But I wanted to repost it so much, I decided to go ahead and do it today!! The roadside stands here are still bursting with corn, and I’m definitely not wanting to give it up yet. These corn fritters are a bit of a splurge, but they are well worth it. You definitely won’t regret making them! I remember watching this as a child. After seeing it for the first time, I developed this fear that I would come home one day only to discover that time had passed by for everyone else but me. It seems so silly to me now, but it was an honest fear for me when I was younger. I would go to school one day, and worry that days or weeks had gone by without me there, and that I wouldn’t know anyone anymore, and that everyone would think I was crazy. Well, obviously that never happened, but I still have brief moments like this as an adult. One of these moments was yesterday. I was at the dentist’s office, lying in the chair getting a cavity filled. (Stupid, sneaky cavities!!) As I’m lying there, I all of a sudden hear George Micheal’s Christmas song – Last Christmas – playing on the radio. I had a brief moment of panic, wondering why I thought it was June when it was in fact December. Why else would there be Christmas music on the radio? After that moment, the dentist said something about the song and wondered why it was on the radio, so I immediately realized that – no, I hadn’t skipped through the last 6 months somehow without noticing. It was still June! So what does this story have to do with these Cheddar Corn Fritters? Nothing, except for the fact that I was totally bummed that my mouth was halfway numb when I ate these. Because they were phenomenal. And even though my tongue felt at least 5 times larger than normal and I was drooling out of the right side of my mouth, I still gave these corn fritters an A+. In fact, this recipe alone was worth the cost of this cookbook. I have been seeing fresh corn at the store for the last couple weeks, but I’m usually wary of corn this early – afraid that it will have no flavor. But I decided to go for it, and I’m glad I did. This corn was so incredible sweet and juicy – it was perfect! I did boil the corn for about 3 minutes before I cut it off the cob, and I would suggest this extra step. And I’ve decided that I’m the worst pan fryer ever – my kitchen was covered in oil by the time I was finished. (I have a hard time flipping things over without making a total mess!) While I was making them, I couldn’t see how they would be worth the mess they were making, but when I took my first bite, the mess didn’t matter at all anymore. These corn fritters are seriously that good. Shuck and clean the corn. Bring a large pot of water to a boil. Add the corn to the boiling water and boil for 3 minutes. Remove from the heat and allow to cool slightly. Turn a small bowl upside down inside a larger bowl. This creates a “stand” to stand the corn on to cut the kernels from the cobs. 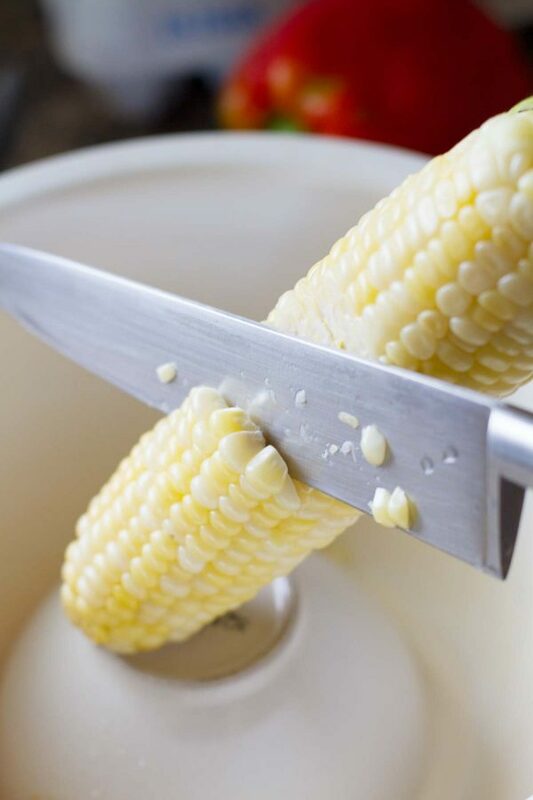 Cut the kernels from the ear, then scrape the cob with a table knife to release all of the milk. 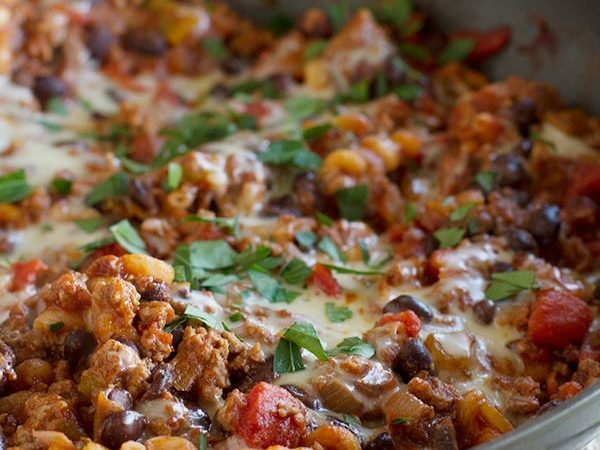 Remove the small bowl, then add the bell pepper, eggs, water and cheese. Stir to combine. In another bowl, combine the flour, sugar, chili powder, salt and pepper. Add the flour mixture to the corn mixture and stir just until evenly moistened. Stir in the melted butter. Pour oil into a large heavy skillet to a depth of 1/4-inch. Heat over medium heat until it registers 350º on a deep-frying thermometer. 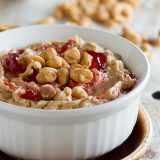 Using a serving spoon and working in batches to avoid crowding, drop spoonfuls of batter into the hot oil. You will make about 16 fritters in all. Fry on the first side until golden bowl and crisp, about 2 minutes. Turn once and fry until golden on the second side, 2 minutes more. Drain the fritters on paper towels and season with salt. *If not using fresh corn, you won’t have the extra flavor from the corn milk. If needed, you can keep the first batches of fritters warm in an over set at 200ºF while you finish frying the remainder. It’s interesting how an idea can completely capture your imagination as a child and you carry it with you your entire life. I have those too. Oh wow that looks good and anything that says “fritter” has me interested! I’m really bad at pan frying stuff like this too so I usually avoid it. I tried to make potato fritters/patties once and the mixture was too watery so the fritters never firmed up. Those look SO good! bookmarking to try it..
I’m the same way about corn…superstitious about buying too early…but, for some crazy reason (global warming! ice caps melting! Al Gore spazzing out!) the corn has been GREAT right now. Perfect recipe, even with the oil splatters! Oh they look just gorgeous! Yum yum!! OK, I think I’m going to have to try these! They sound fabulous! Were you on gas when you were at the dentist’s office? That stuff makes me loopy. oh man i want those now! Great idea-I’ll give this a try when the corn is at its best. I’m a fellow Utah food blogger and just got back from a week in Orem at my sisters! 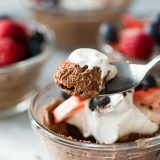 Yum, these sound good! Must give these a try! Sounds like a great cookbook! hmmm… cheddar! i wonder how they turned out to be in corn fritters. i mean the taste. must be very different from feta or gruyere. worth trying. You sure make these sound incredibly good! And since hubster declared himself as being the no 1 Cheddar fan I’m sure he would love these. Isn’t it funny how we can develop weird childhhood fears. My son-in-law to be had nightmares for weeks after watching ET as a child. Oh yummy…I’ve never met a Friiter that wasn’t my friend…EVER! 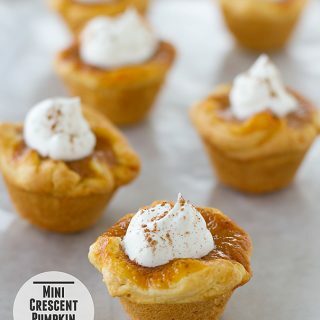 These look nummy! Definitely something out of the ordinary for me to make. Love that kind of stuff. 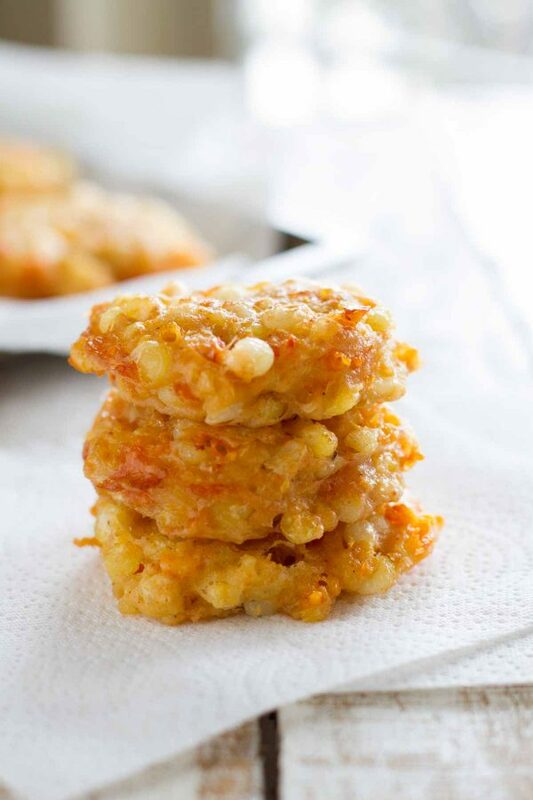 Adding cheese to corn fritters is a great idea! They look really good! Looks lovely! Great combination of ingredients. I think I’ll bookmark this recipe. Thank you for sharing! 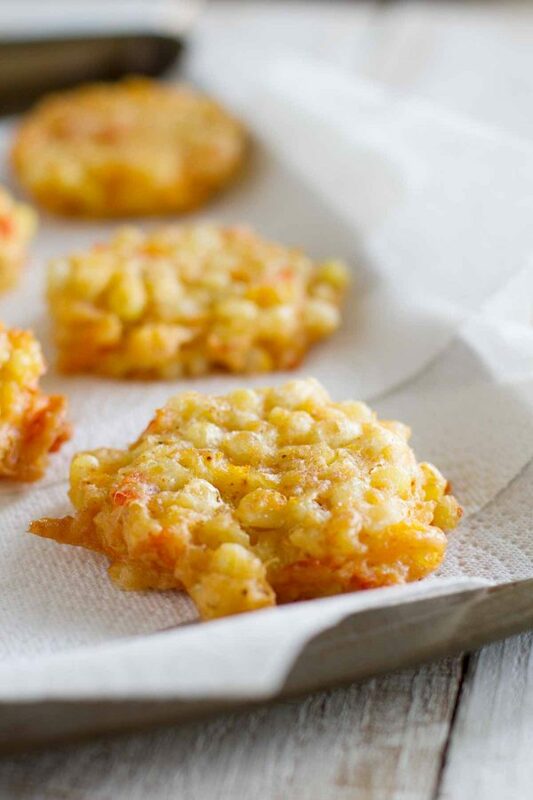 These sound very delicious – I grew up with my mom making corn fritters and I always looked forward to them! Sweetcorn is a big favourite here, these fritters sound fabulous. Oh my gosh I am so making these. They sound like a dream. Thanks for the recipe! 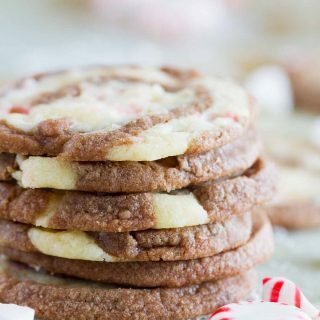 I dare not make these as I would eat the whole batch! This is definitely getting bookmarked for when corn comes into season. And I loved Flight of the Navigator! I love corn fritters. These look delicious!!!! 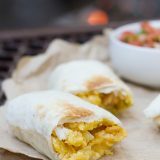 I rarely fry any food – but I am soo making these. They sound so delicious!! hello there used to be a cheddar cornmeal icebox cracker recipe here and ive even gone to the archives and it beings me to this recipe. although it looks good when im truly after is the icebox crackers. can you help me? LOVE cheese and LOVE corn so this is right up my street! These look amazing! 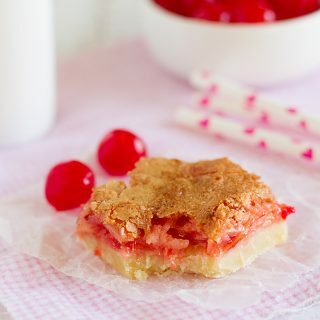 These look like such a great end of summer harvest type recipe! LOVING it! So I guess, frozen corn is out of the question? I’m sure frozen corn would work as well, you just wouldn’t have the extra flavor from the corn milk. But I’m sure they’d still be fabulous!! How about using canned corn? I haven’t tried them with canned corn, so I’m not sure, but I’m guessing they would work. These are so much fun! Love the cheese and corn combo-can’t go wrong there. OMG these look amazing!!!! I am so hungry!!! I must have missed the announcement about you writing a cookbook. I saw it on amazon.com and preordered it. I love red velvet cake. Love these – thanks and have a great weekend! Just made these. But, seriously yours look gorgeous and mine didn’t turn up even close. taste was fine, but not beautiful golden and crisp 🙁 i suspect i messed up the flour and corn ratio. Ooooo… anyone have any luck making these with oil or coconut oil? They look absolutely wonderful! Any chance you can sub the flour for almond flour or similar? I haven’t tried, so I can’t say for sure, but I’m guessing it would be worth a try! Oh this is good food. Used to get similar corn bites in the Navy. 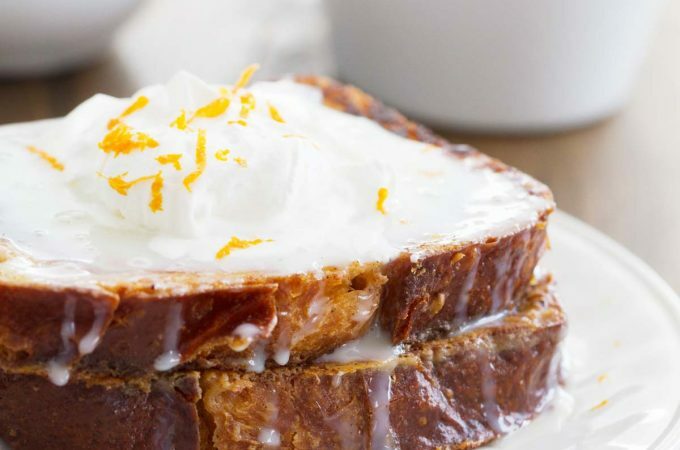 Awesome with breakfast too!! Blessings Deborah. Maranatha! I found this recipe and made it for a side to go with oven baked ribs. These fritters are yummy! My husband devoured them! Thank you for the recipe, I will be using it again for sure! Made it with 1/3 cup coconut flour and 1/2 cup cornflour and 1 cup water due to a low carb diet, and I supplemented the chilli powder with cayenne pepper. Delicious!!!! Would these be alright if the batter was made ahead of time and fried later? I haven’t tried making it ahead of time, so I’m not sure how they would turn out. Sorry! I wonder..could I make a whole skillet fritter using this recipe? 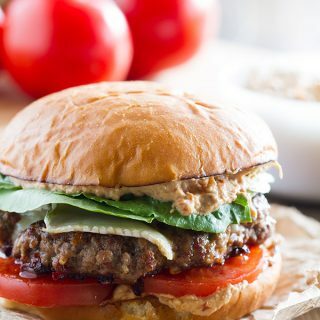 to be sliced after cooking, instead of individual patties? You might be able to – I haven’t tried it. I would be worried that the center wouldn’t be cooked through, but I bet if you played with the temperature a little bit you could get it to work.